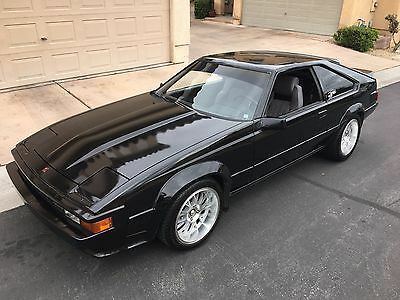 1990 Toyota Supra 5 speed hatchback. Has good interior, dent on the driver's side front clip. Hide away headlights. Has 142,187 miles and no radio. Motor needs rebuilt or new motor. Twin cam/high performance air filter intake. Toyota 3000 24 valve. 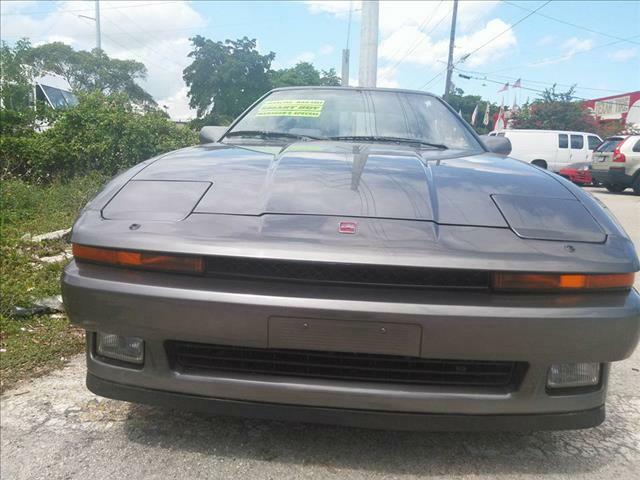 VIN JT2MA70N9L0148339 salvage title. PLEASE CONTACT ME AT 954-856-0265 BEFORE YOU PLACE A BID. MUST HAVE THE FUNDS READY BEFORE YOU DO SO. Highlights:1. 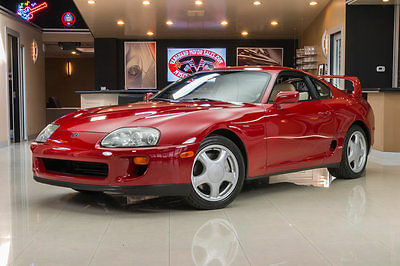 1995 Toyota supra NON turbo 5 speed roller with CLEAN TITLE and clean carfax with ZERO accident history 2. 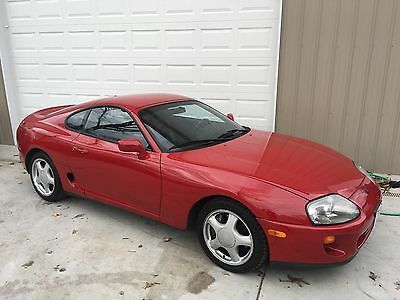 This car has every Vin intact on the panels except on the aftermarket hood. 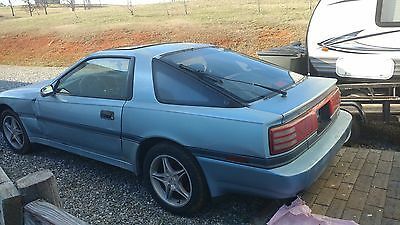 3.Needs a paint job but overall the body is in good shape. 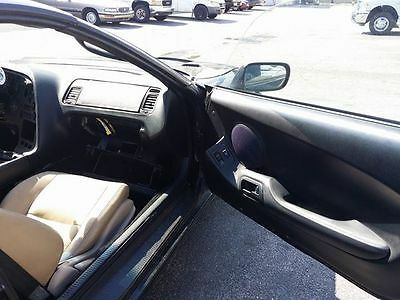 4.The interior is very clean and comes with all the panels intact. 5. Comes with a NRG race seat and a fuel cell. 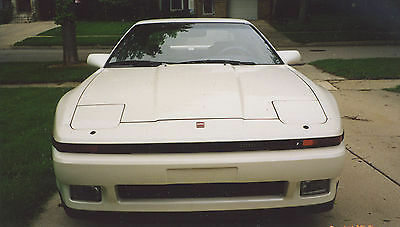 6.The previous owner painted the engine bay white and didn't get a chance to do a color change.Options: 1. Roller with no engine, transmission or diff. $17000 obo 2. Running with Ge engine and factory w58 5 speed transmission. $22000. 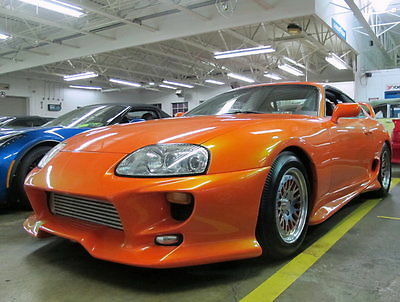 THIS IS THE ONLY MINT FACTORY PRESERVED SUPRA IN THE USA. ALWAYS GARAGED, NOW COVERED WITH SHEETS NOT WASHED FOR 15 YEARS (TO AVOID WATER IN TIGHT SPACES.) ONLY USED GRIOT'S PRODUCTS TO MAINTAIN ALL SURFACES. ENGINE NEVER EXCEEDED 5000RPM RED LINE @ 7200. CAR ALWAYS BABIEDAND TREATED WITH NOTHING BUT THE FINEST PRODUCTS. 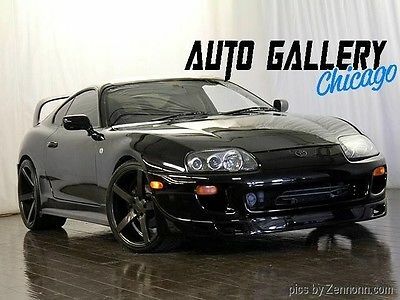 1994 Toyota Supra Twin Turbo 6 Speed LOW MILES! 82,685 Black exterior, Black interior. 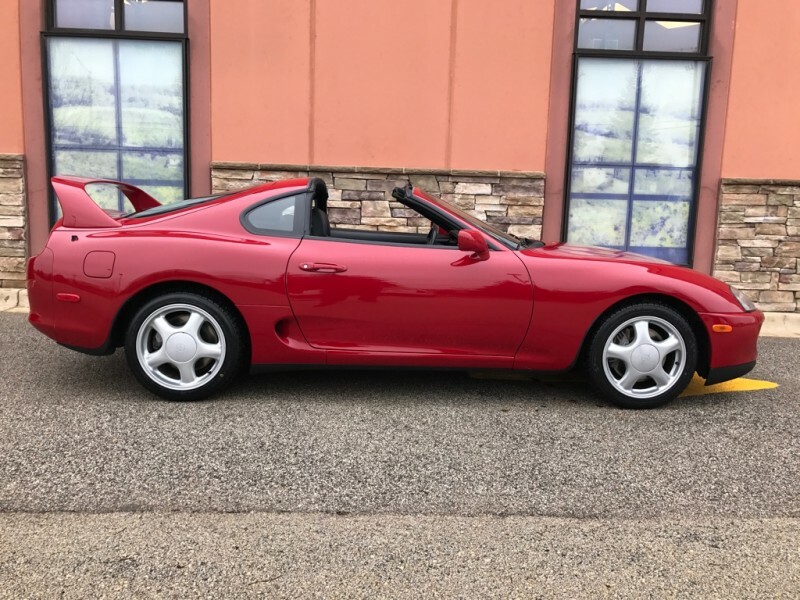 No Accidents Car is in amazing condition for it's age, just detailed.This has to be one of if not, the lowest mileage 94's in this condition still. Car is BPU, with a Greddy 3 Row Intercooler, Volk III wheels, eibach springs and Greddy PE exhaust. These parts are all discontinued now and are impossible to find. It has a SBC boost controller, and turbo timer. Car has never been boosted past 13psi I believe. 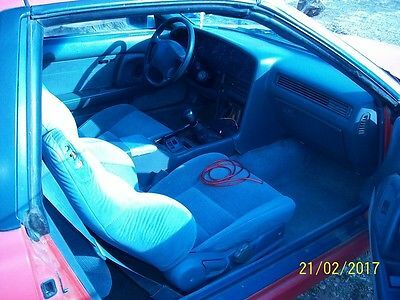 Does not have ABS or cruise control, they were removed. Comes with a clifford keyless entry system as well. Interior dash lights converted over to amber. Car shifts perfect, leaks no fluids. 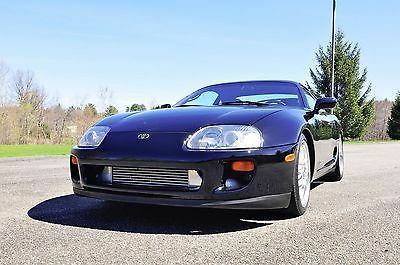 1994 Toyota supra non turbo in excellent condition with Clean Title in hand. It was originally a Baltic blue but the previous owner had it repainted to a darker blue.No accident history and intact vins which are hard to find nowdays. I have Carfax for the car aswell and can be provided to the potential buyer. Car has 160000 on the chassis .Paint: 8/10. Has 1998 Tails. Interior. 6/10. Rear upper seat would need to be reupholstered as it is fading other than that front seats are in good shape. 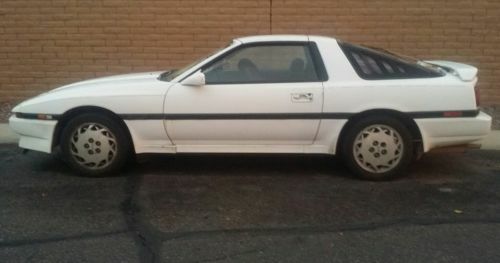 No cracking etc.Panels are intact except the passenger side A pillar panel and sun visors.It has 19 inch Manaray Wheels with new tiresCold A/CCar drives good and can be driven anywhere without any issues. No check engine lights or other issues. I run a performance shop and can install a TURBO GTE swap if the customer desires with 30 day warranty. Here are the options1. 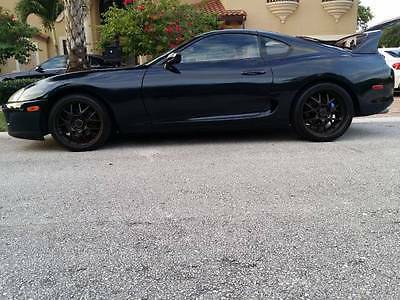 Car AS is non turbo : $21500 OBO2. Car with Automatic Turbo GTE swap. TURN KEY: $28500.